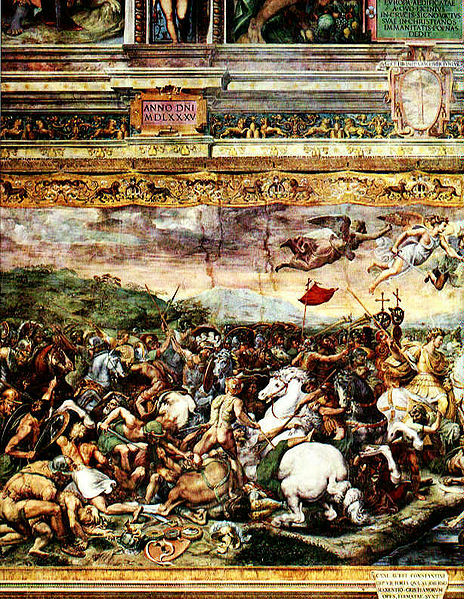 Roman religion and tolerance for others drastically began to change following the Edict of Milan. Constantinian shift is a term used by some theologians and historians of antiquity to describe the political and theological aspects and outcomes of the 4th-century process of Constantine’s integration of the Imperial government with the Catholic church that began with the First Council of Nicaea. The term was popularized by the Mennonitet heologian John H. Yoder. The claim that there ever was Constantinian shift has been disputed; Peter Leithart argues that there was a “brief, ambiguous ‘Constantinian moment’ in the fourth century”, but that there was “no permanent, epochal ‘Constantinian shift'”. Constantine I (reigned 306–37) adopted Christianity as his system of belief after the Battle of Milvian Bridge in 312. His victorious legions fought under the “labarum”, a standard with the first two Greek letters of Christ’s name (XP). 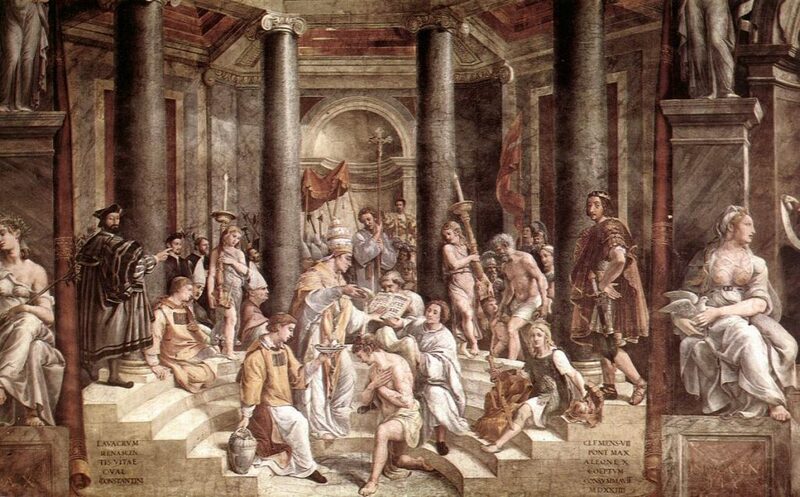 In 313 the Edict of Milan legalised Christianity alongside other religions allowed in the Roman Empire. 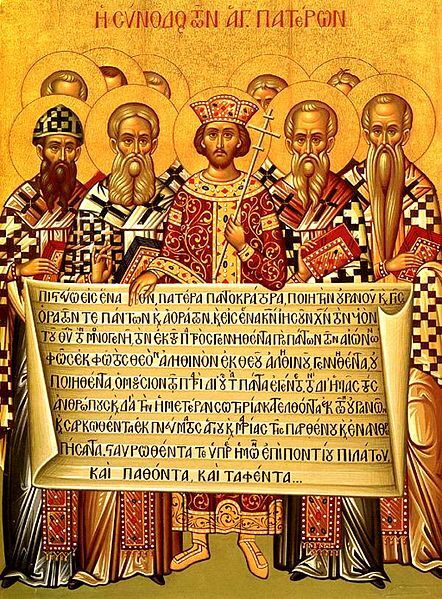 In 325 the First Council of Nicaea signalled consolidation of Christianity under an orthodoxy endorsed by Constantine, and though this did not make other Christian groups outside the adopted definition illegal, the dissenting Arian bishops were initially exiled. But Constantine reinstated Arius just before the heresiarch died in 336 and exiled the Orthodox Athanasius of Alexandria from 335 to 337. In 380 Emperor Theodosius I made Christianity the Roman Empire’s official religion and did enforce the edict. In 392 Theodosius passed legislation prohibiting all pagan cultic worship. Augustine of Hippo, who originally had rejected violence in religious matters, later justified it theologically against those he considered heretics, such as the Donatists, who themselves violently harassed their opponents. Before him, Athanasius believed that violence was justified in weeding out heresies that could damn all future Christians. He felt that any means was justified in repressing the Arian belief.In 385, Priscillian, a bishop in Spain, was the first Christian to be executed for heresy, though the most prominent church leaders rejected this verdict. Clapp, Rodney (1996). A Peculiar People. InterVarsity Press. p. 23. What might be called the Constantinian shift began around the year 200 and took more than two hundred years to grow and unfold to full bloom. e.g. in Yoder, John H. (1996). “Is There Such a Thing as Being Ready for Another Millennium?”. In Miroslav Volf; Carmen Krieg; Thomas Kucharz. The Future of Theology: Essays in Honor of Jurgen Moltmann. 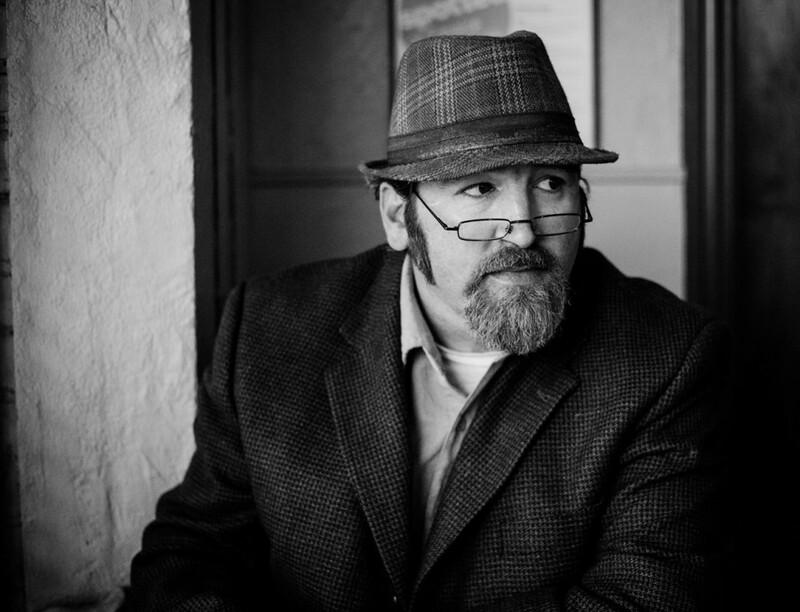 Eerdmanns. p. 65. The most impressive transitory change underlying our common experience, one that some thought was a permanent lunge forward in salvation history, was the so-called Constantinian shift. Peter Leithart, Defending Constantine: The Twilight of an Empire and the Dawn of Christendom, p 287. Originally published by Wikipedia, 02.06.2019, under a Creative Commons Attribution-ShareAlike 3.0 Unported license. This entry was posted in Uncategorized and tagged Ancient, Christianity, Constantine, Constantinian Shift, History, Religion. Bookmark the permalink.